William P. Chase transcribes a note to the Berry Schools enclosing a check for four gentleman mentioned in a past publication. 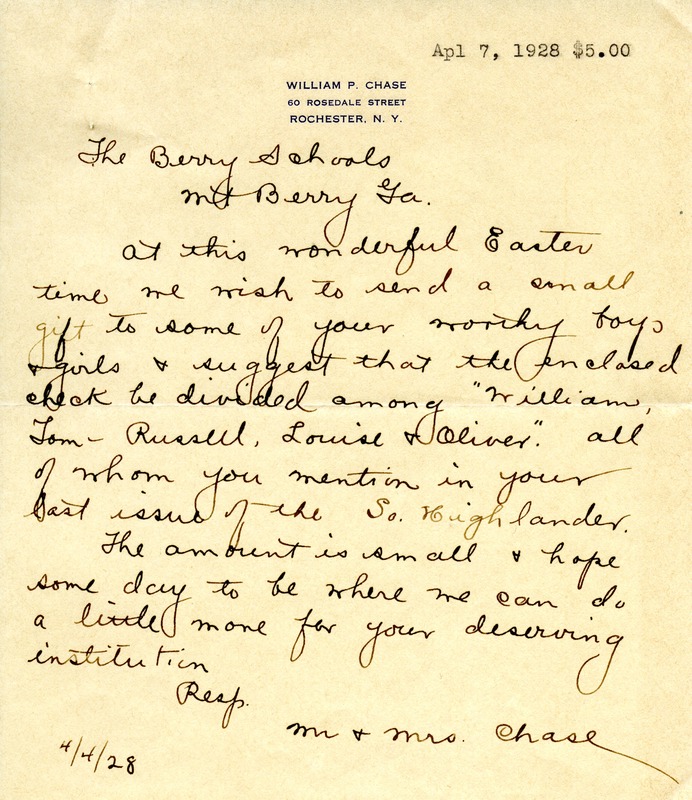 Mr. William P. Chase, “Letter to the Berry Schools from William P. Chase.” Martha Berry Digital Archive. Eds. Schlitz, Stephanie A., Rachel Renaud, Emily Katherine Dalton, et al. Mount Berry: Berry College, 2012. accessed April 24, 2019, https://mbda.berry.edu/items/show/6916.